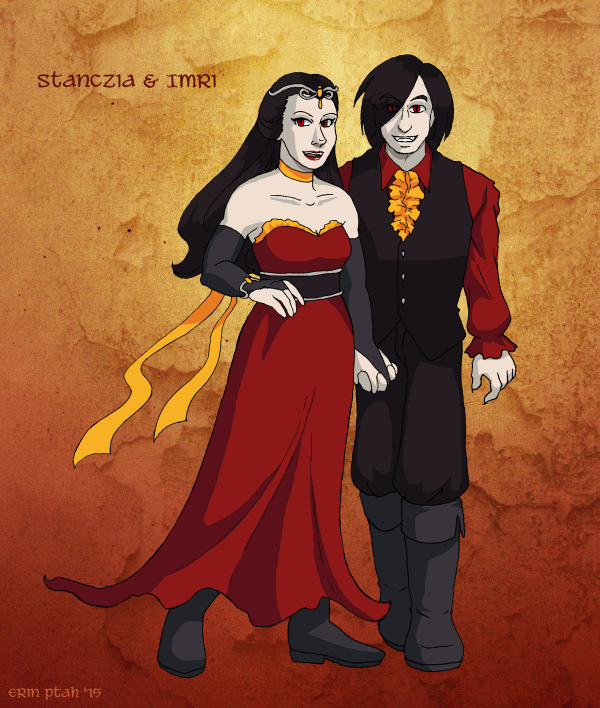 New vampires can be turned at any time, but Lady Stanczia and Lord Imri are among the oldest. Their native language is no longer spoken by any living human. Their names sound bizarre and archaic to Sønska ears. Linguists and historians love when they can shed light on customs that have been lost for centuries…and hate when they make stuff up for fun. Which the old ones do a lot. Just curious, what vampires from literature/TV have you got their looks, habits and personalities from. Just names, I don’t want spoilers. Why does Imri wear his hair like he’s in a boy band? I guess there was a Jonas brother who had kinda similar hair at one point? Short answer is, these two have Anime Goth hair, largely because it’s fun to draw. Any similarity to other aesthetics is coincidental. By the way, for anyone here interested in vampires: the kickoff event for the new Magic the Gathering set, Shadows Over Innistrad, is in full swing on Twitter #MTGSOI. I think I just helped solve one of the riddles. 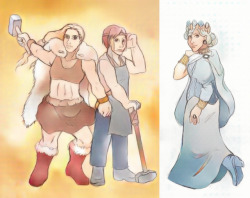 i love how you draw your female characters with normal body shapes. i know that might sound odd, but even among webcomics so often women, especially women considered beautiful, have disconcertingly small waists etc, and its just really nice to see a change from that. You’re not the first person to mention it — I have some kind of mental block about drawing wasp-waisted characters.